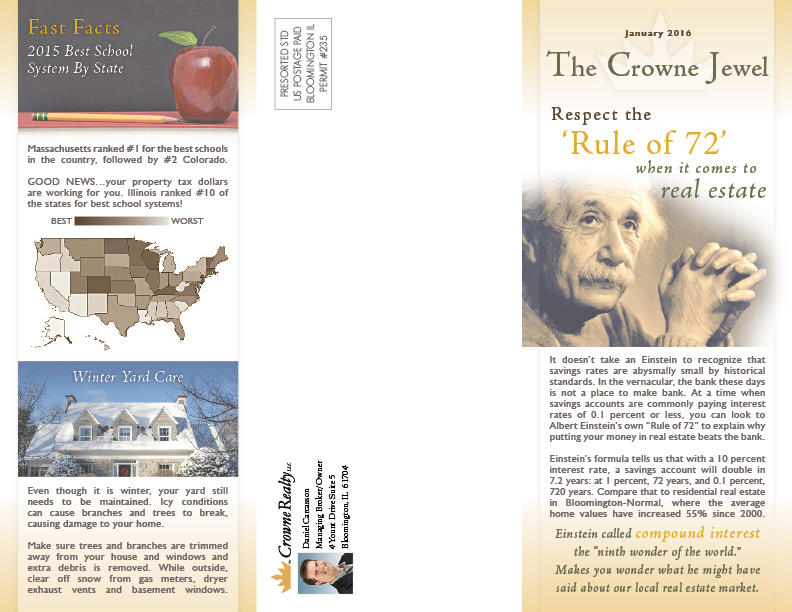 Last week I completed design for another monthly publication, “The Crowne Jewel”. 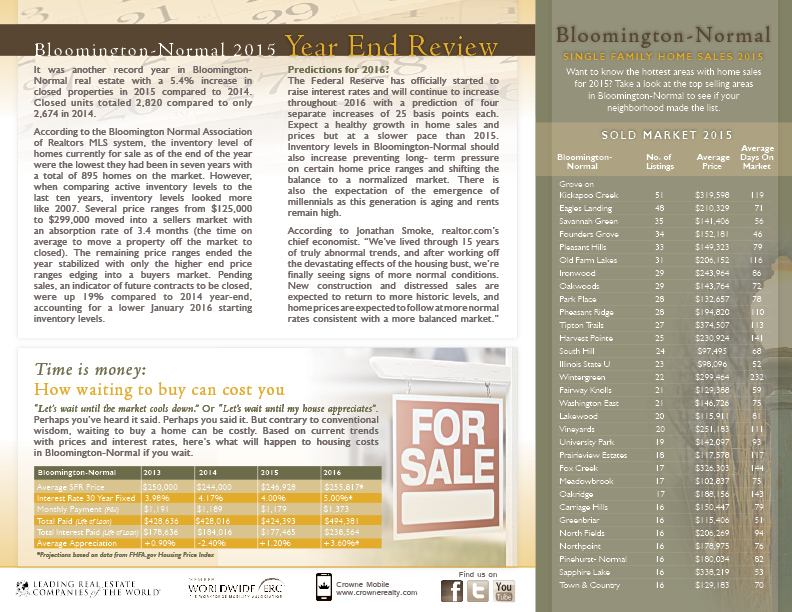 This small, mail-able trifold brochure has become an excellent tool for the Crowne Realty, LLC Realtors to keep in touch with their current and past customers. It also provides valuable information about the home buying and selling process, and tips and tricks for maintaining a home. Certainly, all of this information could have been emailed to their clients (and waiting to get lost in a sea of messages), but they choose to go the printed route. I think it is the right choice, and I am guessing many of their clients agree.